Elegant and Classic Clearwater Pool Home! Porticos, pillars, and a brick pathway are the first impressions of this architectural beauty in Clearwater. Over a .75 acre lot you’ll find 4 bedrooms, 3 full baths and a 2-car garage. The exterior is palatial, featuring shade trees and an expansive backyard fenced to enclose the idyllic haven that includes a freeform pool and a cascading waterfall accented with vibrant shrubbery and classic pavers. A separate hot tub completes the relaxation zone while the outdoor, covered lanai is a stunning extension of the home. Brick flooring, lovely paddle fans, and French doors with glass side panels bring the inside, out. The formal living and dining rooms are separated by a striking foyer boasting stylized archways that reflect in the gleaming hardwood floors. From the sleek breakfast bar to the sunny breakfast nook, the kitchen is light and bright with newer appliances. The master bedroom is spacious enough for a charming sitting area and a closet that measures 18’ x 7’ and has two windows. French doors provide private access to the lanai. The master bath shines in a neutral palette where a luxurious soaking tub and a glass block enclosed shower make the space indulgent. To top this exquisite executive-style home is a family room with wood-burning fireplace. Built-in shelving, crown molding, and hardwood floors make for a cozy space with distinctive touches of luxury. Besides the newer hot water heater is a newer: pool pump and exterior paint, lighting, and well pump for irrigation. Yes, you CAN have it all! https://trinityeastlakerealestate.com/wp-content/uploads/2018/03/LC-WebLogo-340x156-300x138.png 0 0 loricrawford https://trinityeastlakerealestate.com/wp-content/uploads/2018/03/LC-WebLogo-340x156-300x138.png loricrawford2018-07-24 14:10:292018-07-24 14:10:29Elegant and Classic Clearwater Pool Home! 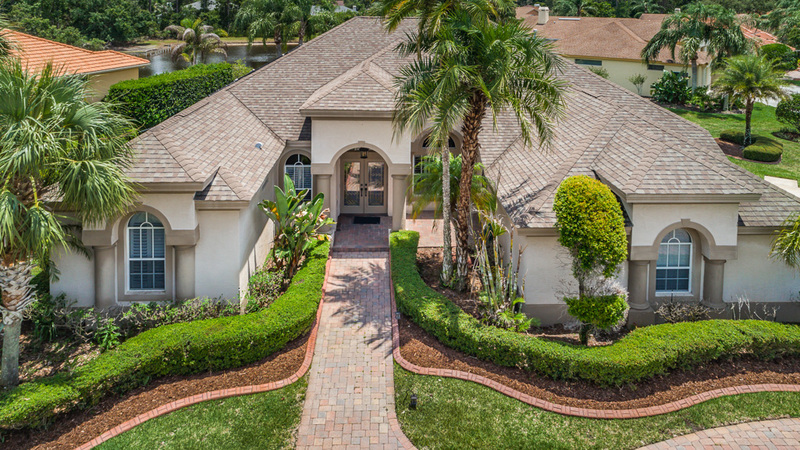 Legendary Lansbrook Community of Palm Harbor! Experience Florida’s finest in this executive-style home on a half-acre corner lot with a circular driveway and pond views. Exquisite hedges and shrubbery edge the front portico’s grand entrance. Besides a formal living room/dining room combo, an idyllic family room features built-in cabinetry, a gas fireplace, and plantation-shuttered sliders to the pool. Nestled between a beautiful aquarium window and sliders to the outdoor entertainment center is the breakfast nook. Lit by lovely pendant lighting, a picture-perfect kitchen boasts a casual dining bar, maple cabinetry, and granite-topped counters. A center island with electricity and storage are perfect to accommodate party trays for special events. With an indoor grill, spacious pantry, and a handy desk, you’ll rule the world! In the privacy of the resort-style lanai, the shimmering solar-heated pool has two shallow ends, a spillover spa, and conservation views. With a total of 5 bedrooms/4 full baths, there’s a guest suite upstairs. The master suite is the ultimate retreat with soaking tub, glass block enclosed shower room, and sliders to the lanai; while the tranquil conservatory has its own picturesque lanai with retractable awning. French doors give entrance to the home office, flooded with natural light. Lansbrook residents enjoy gracious living that includes access to Lansbrook Commons’ park and recreation center with courts, fields, jogging paths, boat slips, playground, and shaded picnic pagodas with breathtaking vistas of famous Lake Tarpon. https://trinityeastlakerealestate.com/wp-content/uploads/2018/03/LC-WebLogo-340x156-300x138.png 0 0 loricrawford https://trinityeastlakerealestate.com/wp-content/uploads/2018/03/LC-WebLogo-340x156-300x138.png loricrawford2018-06-18 12:08:042018-06-18 12:08:04Legendary Lansbrook Community of Palm Harbor! 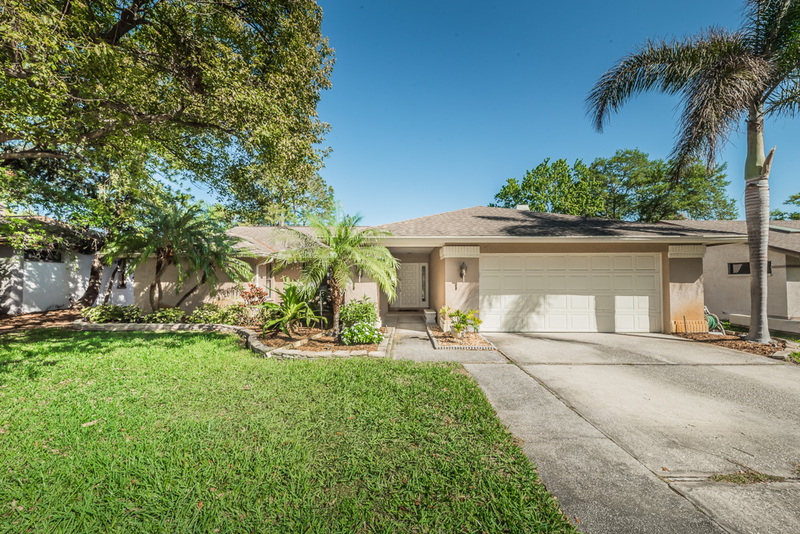 The exterior of this 4-bedroom, 2.5 bath, 2-car garage home with recently UPDATED kitchen and baths is classic Florida. An elegant covered entryway and paneled door flanked by glass insets are surrounded by a lovely assortment of trees and well-maintained shrubbery. The backyard’s lush lawn is fenced and highlighted by a beautiful pool and covered lanai. Two convenient sheds stow essentials. The stylish eat-in kitchen is smartly designed with stunning cabinetry and finishes. It boasts tons of storage including both sides of its center island and deep serving counter; perfect to display party platters. The fabulous family room features vaulted ceilings, a wood-burning fireplace, and built-in shelving. As for the formal living room/dining room combo, it is bright and airy, lit by a large picture window on one end and sliders to the outdoor entertainment center on the other. The master suite is a true retreat with exquisite features and fixtures. The three other bedrooms are light and airy, with the third one boasting sliders to the pool, making it great for a home office or home fitness center. A well-appointed laundry room offers plenty of shelving and storage. The lawns and foliage thrive from an irrigation system that is supported by well water. There’s an optional HOA of $35/year. 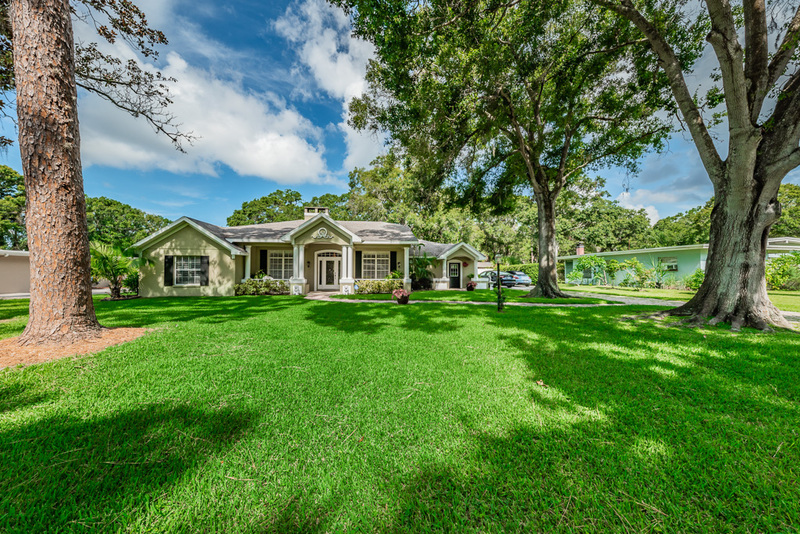 Situated in desirable Safety Harbor, this home is ideally located close to the amenity-rich, 9-acre North City Park and the vibrant downtown; famous for its eclectic mix of shops, restaurants, and the Safety Harbor Spa. https://trinityeastlakerealestate.com/wp-content/uploads/2018/03/LC-WebLogo-340x156-300x138.png 0 0 loricrawford https://trinityeastlakerealestate.com/wp-content/uploads/2018/03/LC-WebLogo-340x156-300x138.png loricrawford2018-03-11 06:49:242018-03-11 06:49:24Safety Harbor Pool Home! Within Blocks to Downtown Dunedin! 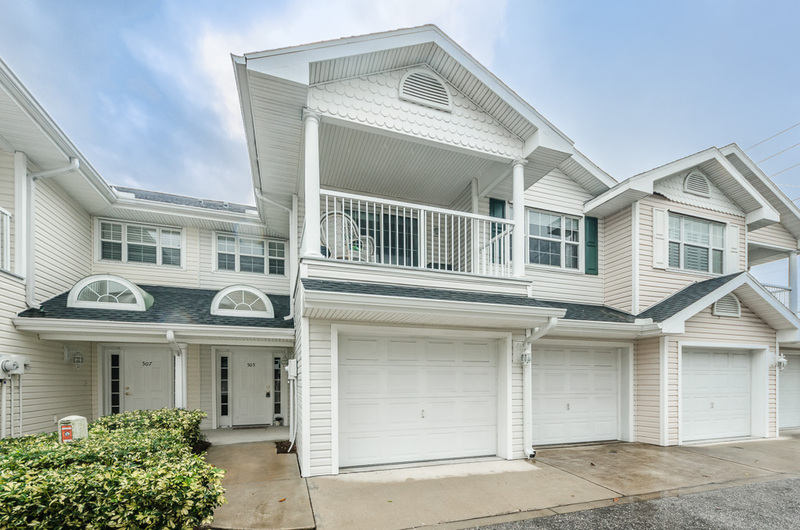 This beautifully nuanced townhome is situated two blocks from idyllic downtown Dunedin; the place of street fairs and festivals, fine and casual dining, and spectacular waterfront vistas. Being sold completely furnished except for personal items, welcome to a residence of polished finishes and flooring, as well as simply stunning décor. Boasting 3 bedrooms, 3 full baths and a 2-car garage, paned glass panel sliders from the second-floor master and en suite bedroom lead to charming balconies, while glass panel sliders from the gorgeous eat-in kitchen reveal a semi-private patio. The master suite is wonderfully airy and spacious; gleaming hardwood floors shine in the natural light. French doors lead to the well-appointed bath featuring dual sinks, soaking tub, shower room and linen closet. A sunny laundry room with sink/storage is conveniently located on the second floor as well. From the mini loft space, the staircase and landing lead to the welcoming foyer. Downstairs, vaulted ceilings soar above the layout that is open, yet integrates all the unique areas into one striking floor plan. The kitchen was updated a few years ago with new counters, appliances, tiled backsplash, and recessed lighting; a breakfast bar and copper tile ceiling accent combine for a lovely effect. Also on the main floor, a third guest suite can serve as an in-law suite, a college student’s room, or even a home office with its full bath and walk-in closet. 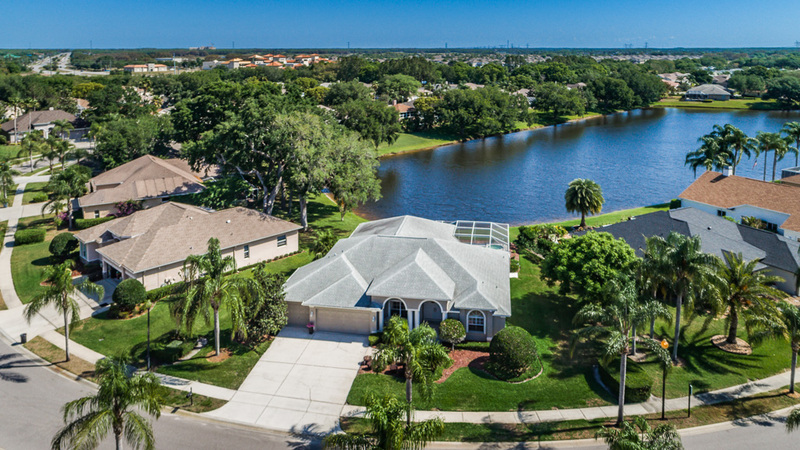 This home has it all, including one of the best Pinellas County locations. https://trinityeastlakerealestate.com/wp-content/uploads/2018/03/LC-WebLogo-340x156-300x138.png 0 0 loricrawford https://trinityeastlakerealestate.com/wp-content/uploads/2018/03/LC-WebLogo-340x156-300x138.png loricrawford2017-12-12 07:57:372017-12-12 07:57:37Within Blocks to Downtown Dunedin!